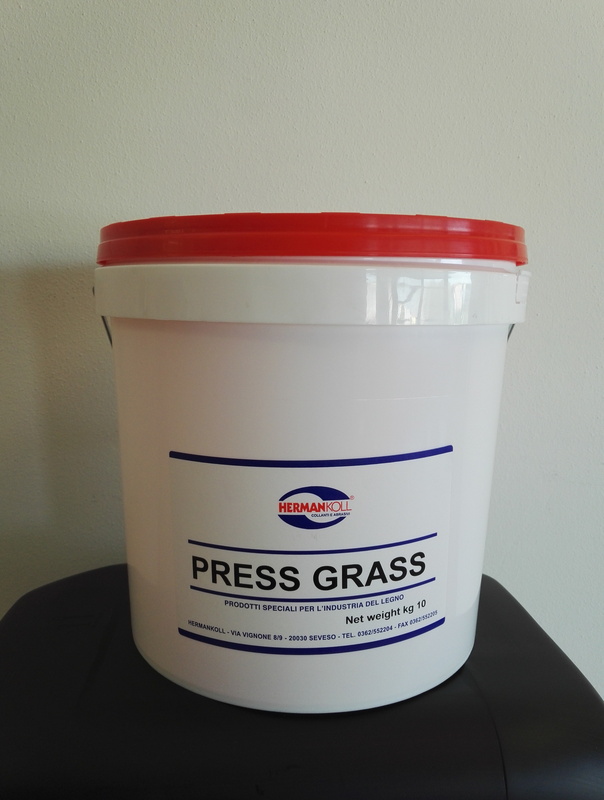 Press Grass is a fat soft and soluble anti-adhesive, suitable to clean and to protect from the glues the plans of the presses and the plastic laminates. Press Grass can be used pure or diluted with water. Press Grass is perfect to clean and to avoid that glue sticks on the plans of the presses and the plastic laminates.